No matter what month of the year it is or how often you use your pool, regular maintenance is a must. A pool can go from clean and sanitary to slimy and hazardous quickly if not properly cared for. We want the experience of owning a pool to be perfect every day as a Seminole pool maintenance service that holds itself to high standards. That’s why we’ve put together a quick list of advantages to why you should schedule regular pool maintenance. Just adding chemicals to your pool does not always yield the clear, clean results you expect. You may be scratching your head as to why there are bits of dirt and debris in your pool while you’ve been painstakingly skimming it every day. There are a lot of things that could be going wrong, and many you may not realize firsthand. Skimmers need to be emptied, while drains and filters need to be continuously checked. Plus, the pumps need to be monitored to make sure the pressure and flow is ideal. Even if the equipment is working fine, it still needs regular attention in terms of how long it runs and what adjustments need to be made. 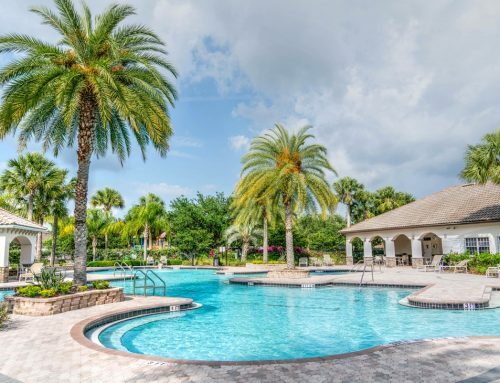 Our Seminole pool maintenance service will make sure everything is functioning as it should during regular maintenance. Adjusting chemical and pH levels is crucial to keeping a healthy body of water. If the ratios of the water’s chemistry are off, bacteria can grow and unwanted algae can form. 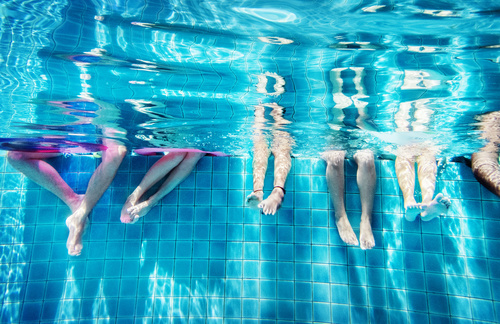 By having someone check your pool’s chemical levels on a regular scheduled basis, you can be sure your pool is ready to jump into year-round. Even if it’s a little too cold during winter months, it’s still smart to keep the water in stable shape. Keeping the water stable will ensure that drastic adjustments are not necessary after it warms up. Our Seminole pool maintenance will be there year-round to make sure the water stays clear and bacteria and microorganisms stay out. 3. Hire a Seminole company for pool maintenance and relax! The most tiresome part of keeping your pool in top shape is brushing, scrubbing, vacuuming, and hand-skimming. Triangle Pool’s Seminole pool maintenance will do all the hard work for you. We will take the time to make sure every surface is spotless and clear of dirt and insects. Physically cleaning your pool can take time out of your day and can even be exhausting. Relax, while we handle the trouble of cleaning and after we finish – invite your friends and family! If you want to be confident in your pool’s condition every day of the year, depend on Triangle Pool and give us a call at (727) 531-0473.